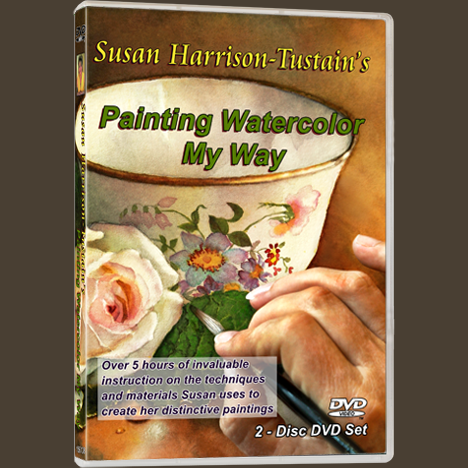 Internationally renowned artist Susan Harrison-Tustain is equally at ease painting in watercolor or oil. As a child she learned oil painting, fascinated by the compelling lighting of Rembrandt. 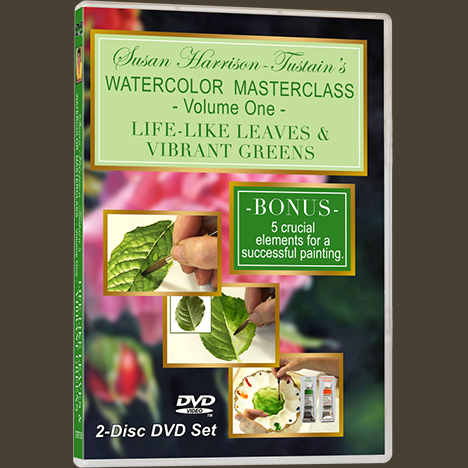 Later she delighted in the beauty and challenges of watercolor painting. 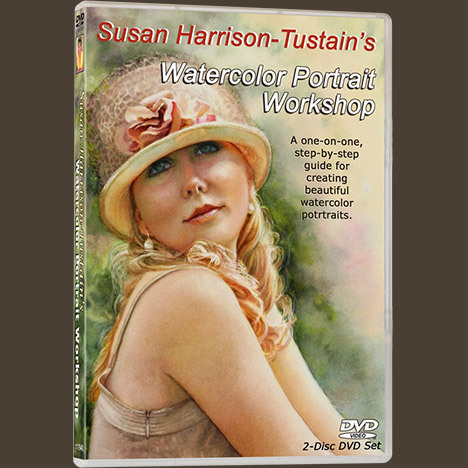 Within a short time she was asked to write her own watercolor book by US publishers North Light Books. It became a best-seller of its type. 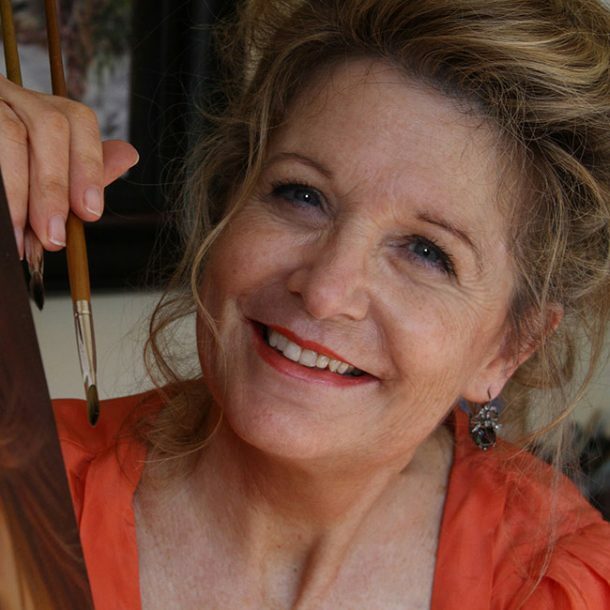 Susan’s world-wide recognition has meant her fine art paintings feature in numerous international collections and prestigious books and magazines. Her exhibitions are attended by patrons from many countries as well as from throughout New Zealand. She loves to share the joy of painting with budding artists and professionals alike. 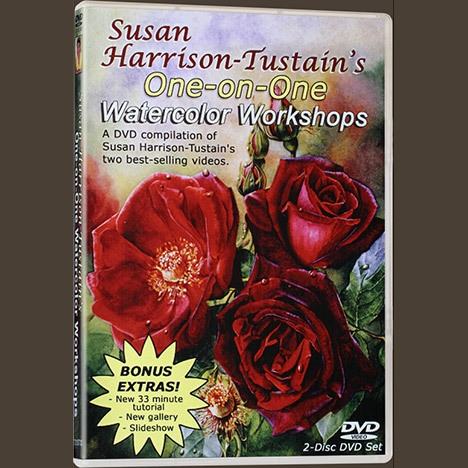 Susan’s Watercolor Art Instruction DVDs and Video Downloads are hugely popular, while her international Watercolor Workshops help other artists to reach their full potential. Susan’s choice of subjects and the naturalistic realism of her painting style enable her to capture more than a subject – she wants the viewers of her work to feel the emotion within the painting. She paints with a sensitivity that creates a compelling connection between the subject, the artist and the viewer. Her passion is fuelled by the excitement of discovering a new subject, then deciding how best to convey her message as a narrative in paint. Inspired by the stunning works of artist Gustav Klimt, using gold leaf, Susan has used her own ideas and creativity to pursue a new direction: oil painting on 24k gold, silver and palladium leaf. 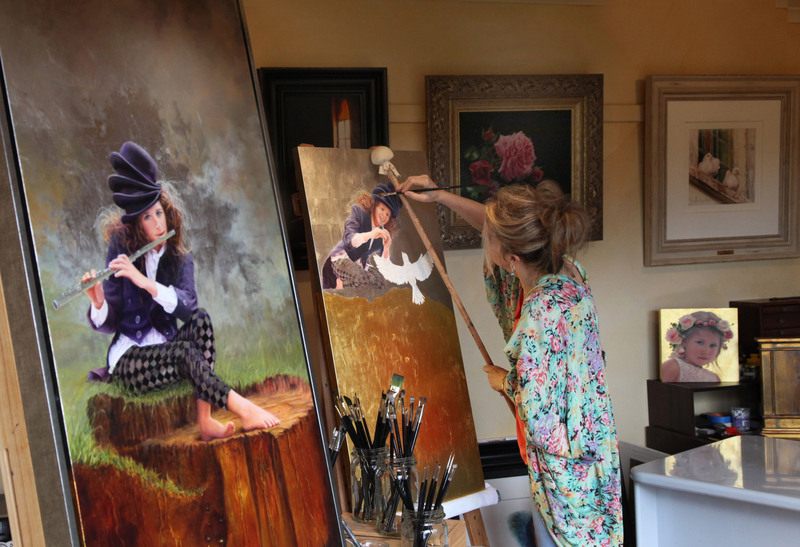 She is incorporating elements of impressionism and surrealism into her paintings and is exhilarated by both the challenges and triumphs painting on gold and palladium leaf can bring.